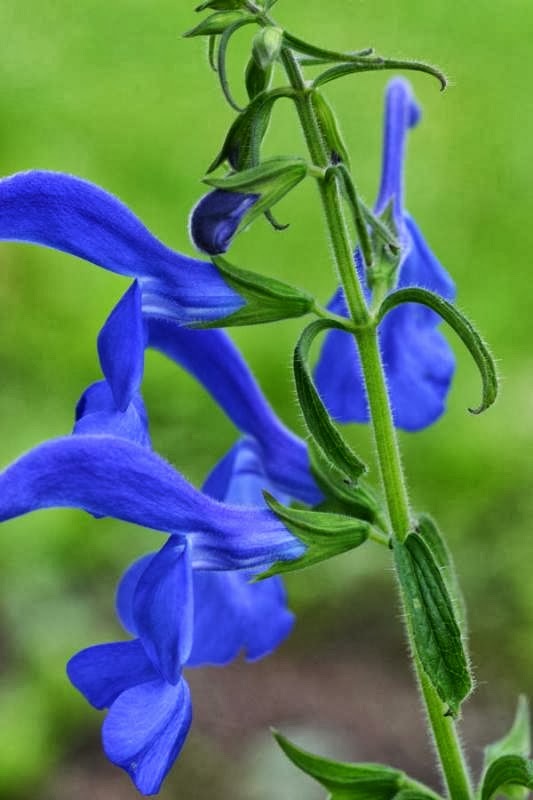 Salvia patens is undoubtedly one of the very best blue flowering plants. A native to the temperate and subtropical zones of Mexico, when you consider their late summer/early autumn flowering period there is little else that can compete with the richness of its colour. So good is it that both the species and its cultivar 'Cambridge blue' have gained the Royal Horticultural Society's Award of Garden Merit. Unfortunately, Salvia patens is frost tender and can only be grown outside in the very warmest regions of northern Europe. This means that it can be a difficult plant to source. However the seed from this gorgeous species is relatively easy to obtain, and as far as I am concerned well worth cultivating. 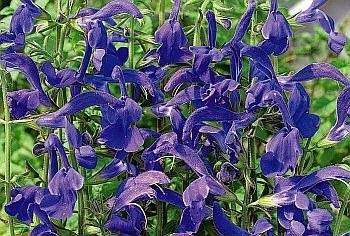 Sow Salvia patens seed from February to March in pots, or trays containing a good quality compost such as John Innes 'Seed and Cutting'. You will need to provide heat in order to help initiate germination so place the pots or trays into a heated propagator at approximately 18 degrees Celsius. Do not exclude light as this helps germination, and keep the surface of the compost moist but not waterlogged. The newly germinated seedling should emerge from 14 to 30 days. Prick out the seedlings once they are large enough to handle and pot on into individual 3 inch pots. Gradually acclimatise to outdoor conditions for 10-15 days before planting out after all risk of frost had gone. If you are planting in groups, space 18 inches apart.